Did you watch the Wednesday Sprite Fights live on Twitch this week? We're sure you did! The first tournament hosted by That Sprite was a lot of fun and excitement. The good news followed afterward: That Sprite mentioned on the Community Discord server that he's certainly willing to host more tournaments in the future! The bad news: we don't know more details, yet. But we'll surely watching out for further announcements, just as you do. Last Monday, we had a first brief look at the visual UI overhaul coming with Update 66. Since said update - which is scheduled for May 16th - will mark the start of a new in-game event also, we think it's a good time to take a look at the Tri-Team Tourney. Players who played Minion Masters back in May last year will surely remember this event. We had Team Bloody, Team Brainy and Team Brawny, each with three Masters. For example, Apep, Volco, and Ratbo were Team Brawny. This year, we will basically re-run the Tri-Team Tourney, but with fresh mysterious rewards. 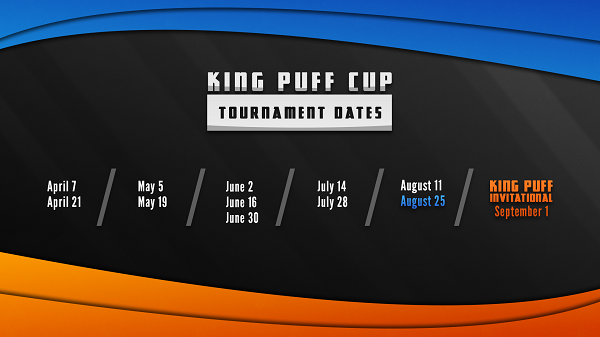 You participate in this tourney by simply playing the game and/or watching Minion Master streams on Twitch. That way, you'll collect 'keys', which you can then activate & pledge to a team in-game. Each key will grant a small prize and when you collect all 15 keys for one team, a big reward chest is waiting for you. If you have any questions, please don't hesitate to ask us on the Community Discord server, the Steam forums, Reddit, Twitter or Facebook. Please read the announcements carefully and make sure to submit your 4 Masters along with decklists in time. That's all for today, Masters! On Monday, we'll present more previews for the visual UI overhaul, discuss the visual Drone overhaul and of course announce the first BetaDwarf stream of 2018 with all the information you need. Until then, have a nice weekend!